If you’re reading this post, you’ve already decided to research ways to quit smoking, and that alone deserves a pat on the back. Making the commitment to quit smoking is commendable and now it’s time to choose the quitting method that’s best for you. Below are five methods for quitting smoking that have been scientifically proven to work. You can also download our infographic to help with the process here. While these methods have seen great results, please note, not all methods work 100% for all people. Quitting smoking is difficult and studies have shown despite best efforts, nearly 90% of those who try to quit, start smoking again. Don’t be too hard on yourself—if you are unsuccessful the first, or even the second time, know you’re not alone, then try again, perhaps using a different quitting method. The New England Journal of Medicine found people who have a financial incentive to quit smoking see higher rates of success. During the study, the most successful financial incentive program included a deposit paid up front by the individual that would be returned, along with a bonus payment for those that refrained from smoking after an allocated amount of time of usually one year. The second most successful financial incentive program did not include a deposit and simply paid a dollar amount out after the individual refrained from smoking for a certain duration. Both programs offered additional services including free counseling and nicotine replacement therapy, like gum or the patch. If you find yourself financially motivated, this program may be effective in helping you kick your smoking habit. In this method, smokers quit suddenly and do not use a nicotine replacement therapy. While this method is often the most challenging, and may come with withdrawal side effects, those mentally prepared and fully committed to quitting smoking may find success. Smoking cessation resources suggest distracting yourself with something when a craving starts—things like drinking water, going for a walk, or deep breathing can all help redirect focus away from smoking. Support groups and talking with friends and family are also effective at keeping you on track, feeling supported, and maintaining the path to quitting. If you find yourself ready to quit right of the bat, this method may work for you. A variety of items exist to help ween smokers off nicotine, such as gum, patches, inhalers, and lozenges. These items are classified as nicotine replacement therapies (NRTs) and are designed to help smokers manage their cravings when quitting and lessen the severity of withdrawal symptoms. NRTs are the most common method for quitting and can be combined with a variety of other methods, including counseling and financial incentives. They’re also one of the most effective methods, with research showing the likelihood of someone quitting increases by 50-70% when using an NRT. If you’re still deciding if you want to quit, try starting a NRT before you’ve made up your mind, as it may make them even more effective in helping you quit smoking. In recent years, prescription drugs have been developed to help people quit smoking. These drugs are effective and some even have higher success rates when used in conjunction with NRTs. Prescriptions such as bupropion (brand name Zyban®) and varenicline (brand name Chantix®) work to target nicotine receptors in your brain, making smoking less enjoyable and reducing symptoms of withdrawal when quitting. Studies have shown taking these prescriptions can more than double your chances of quitting when compared to taking no drugs at all. If you’re interested in quitting smoking and trying out a prescription medication to assist you, talk to your doctor about the best options for you. 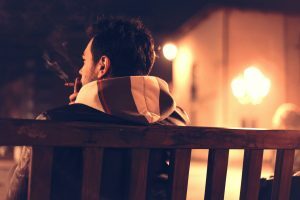 If you’re more inclined to develop a comprehensive quit smoking plan and respond well to being held accountable by a third-party, behavioral therapy may be for you. This quitting method involves working with a counselor to identify smoking triggers and formulate a plan. Your plan may include attending support groups with other people trying to quit or even hypnosis to lessen the desire and interest in smoking. Behavior therapy can help you delve into the reasons behind your addiction and which situations are most likely to trigger a craving. Quitting smoking is one of the hardest habits to break. It’s important to be patient with yourself during your quitting journey. NWPC is here to help you on your journey to quit smoking. With resources, tools, and expert advice, let us help you kick the habit and improve your overall health.